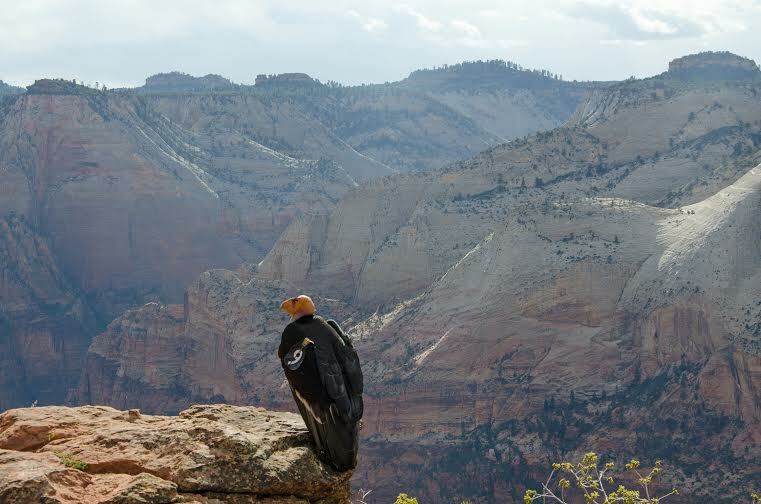 ZION NATIONAL PARK – It’s official: A pair of California condors are raising a chick in Utah. Zion National Park announced Tuesday that biologists from several agencies and groups have been focusing their attention on a rock cavity located 1,000 feet above a remote canyon floor in Zion National Park. Inside the cavity, the biologists were hoping a pair of California condors had hatched an egg, according to a press statement. Their hopes were realized on June 25 when a condor chick made its first appearance on the edge of the nest. This chick is the offspring of first-time nesting parents. The occasion is particularly momentous because the results of first-time nesters often fail. Keith Day, regional wildlife biologist for the Utah Division of Wildlife Resources, said the chick won’t try to fly until November or December. The condor parents will spend the next year raising their chick. Fred Armstrong, chief of resource management and research with Zion National Park, said many people are wondering where the nest site is located, but said they can’t provide that information because the birds are protected under the Endangered Species Act. “Our top priorities are to allow the chick to grow and develop in a natural environment without significant human influence, keep it safe, and to protect park resources in the area where the chick is located,” Armstrong said. Those curious to see what the chick might look like are advised to visit the condor camera at the San Diego Zoo Safari Park. 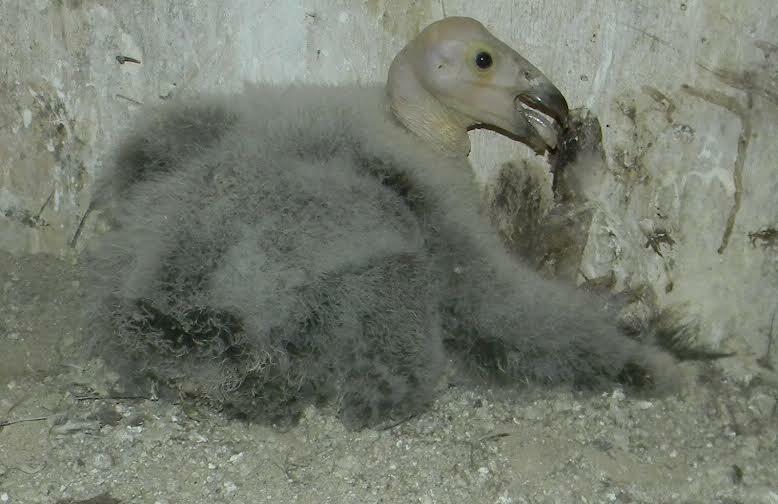 The zoo had a condor hatch in its rearing facility within days of Zion’s wild-born condor. The Peregrine Fund biologists found the nest by following radio and Global Positioning System signals from transmitters mounted on each of the chick’s parents. They started keeping a close eye on the birds after the pair exhibited nesting behavior this past spring, according to the press release. Biologists and the condor recovery program partner agencies became excited when the birds started displaying behavior that indicated they were incubating an egg. Excitement grew when the pair showed signs they were tending a chick. On June 25, the chick made its first appearance on the edge of the nest. Working cooperatively with the U.S. Fish and Wildlife Service, the Utah Division of Wildlife Resources, the Arizona Game and Fish Department, the Bureau of Land Management, the U.S. Forest Service and the National Park Service, The Peregrine Fund has taken the lead on reintroducing and restoring this federally endangered species in northern Arizona and Southern Utah. Additional information about the California condor recovery program is available online and on Facebook. Feeling threatened, Ed? Be sure to check under your bed at night. Might be a Dem under there waiting to get you.